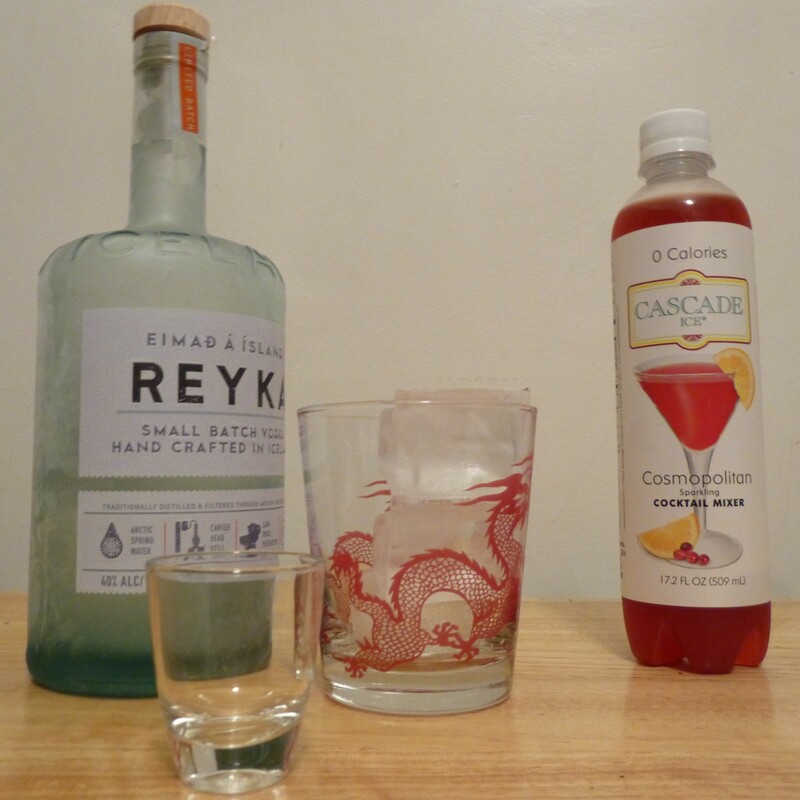 Cocktail of The Day: The Cascade Ice Cosmpolitan! Do you like making cocktails at home? I sure do. But sometimes I am too tired to do much more than put ice in a glass, pour a shot over that and then fill the glass with juice or soda. Bar tending is often best left to professionals. 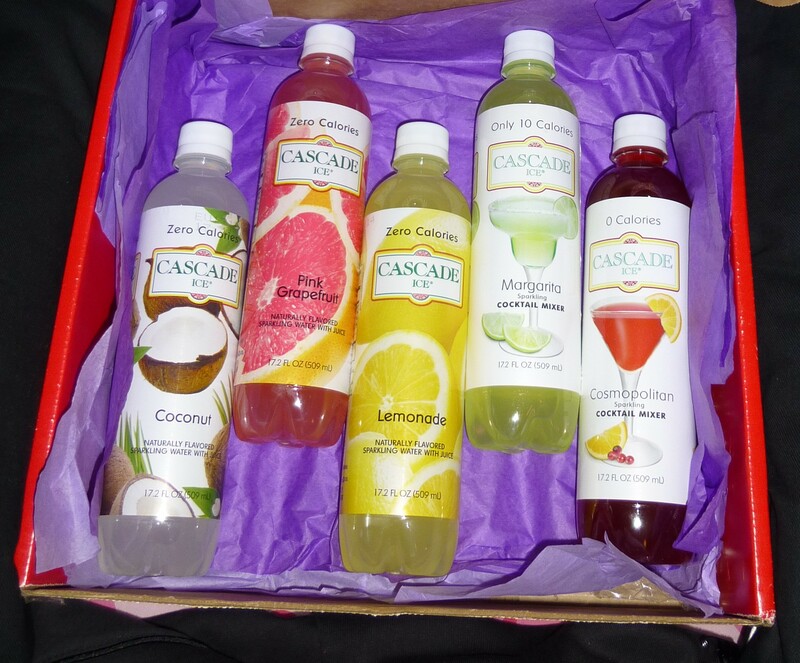 But a while back, Cascade Ice sent me an assortment of their one-step cocktail mixers and flavored sparkling waters, which make home mixology so easy! One of many great things about Cascade Ice is that it is a super low calorie mixer — most of their flavors have zero calories! Using Cascade Ice Margarita Mixer, which has just 10 calories per serving, can knock down the calorie count of a standard Lime Margarita from around 600 to just 55 calories! That is so crazy! And yet, it is true. 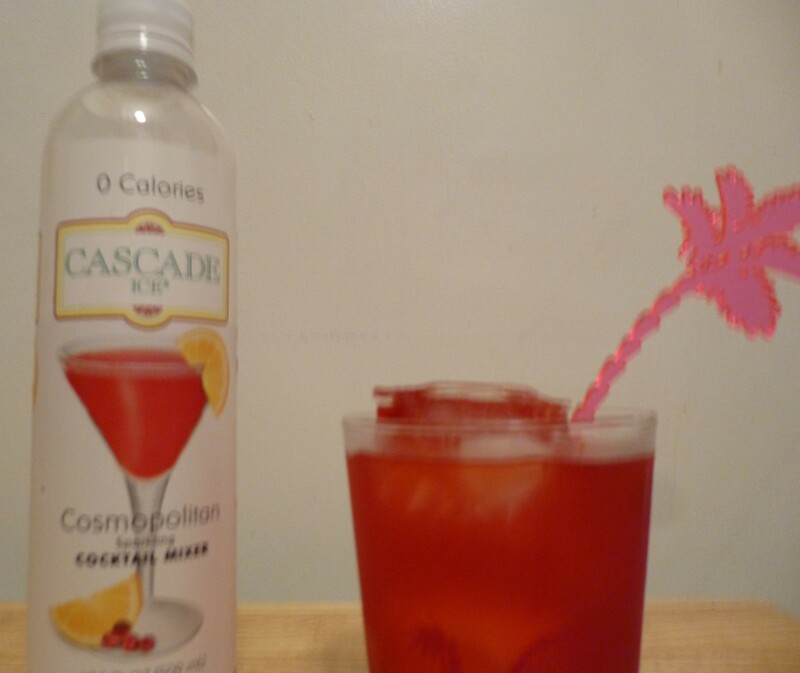 Of course, my cocktail of choice is the lovely pink Cosmopolitan, and Cascade Ice makes a Cosmo in a Bottle that only needs the addition of your favorite Vodka to make the magic happen! Above, you will see all of the ingredients and tools needed to make a refreshing, delicious and perfectly mixed Cosmo at home using Cascade Ice. Other than the absence of a lemon slice — which I did not have in my home at the time — to add a dash of tartness and of course as a garnish, this drink is perfect! Of course, the Pink Palm Tree Cocktail Stirrer didn’t hurt! If you follow any kid of restrictive diet, it is helpful and encouraging to know that all flavors of Cascade Ice are gluten free, sugar-free, sodium free, caffeine-free and have zero carbs. Visit Cascade Ice Water Dot Com for recipes and to find out where to purchase their products in your area!